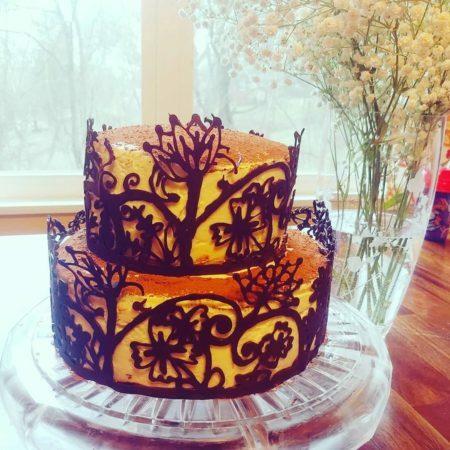 I made a vanilla sponge, soaked it in espresso/coffee liqueur syrup, layered with mascarpone icing and cocoa powder and covered it with a floral chocolate collar. This was so fun and was a great excuse to have friends over for a dinner party. Make sure all of the ingredients are room temperature. If you forget to take the buttermilk out of the fridge, like I did, use your daughter's bottle warmer to warm it up!